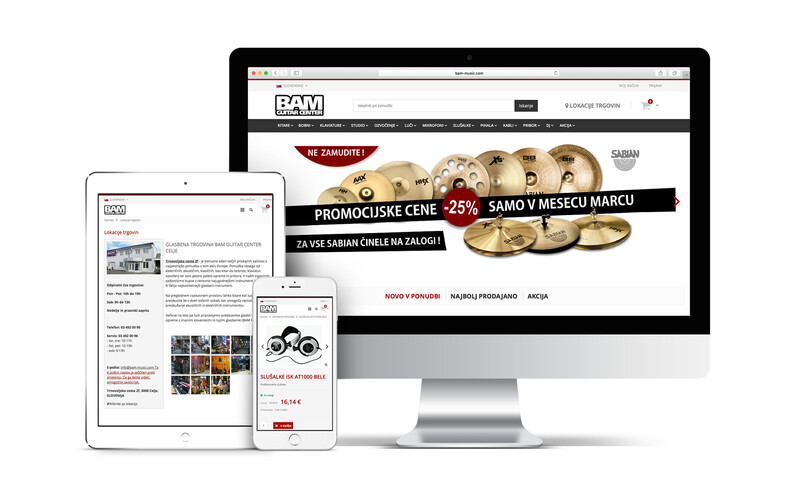 For client Bam Guitar Center we have upgraded, updated, designed and rebuilt an online store at well-known platform Magento. 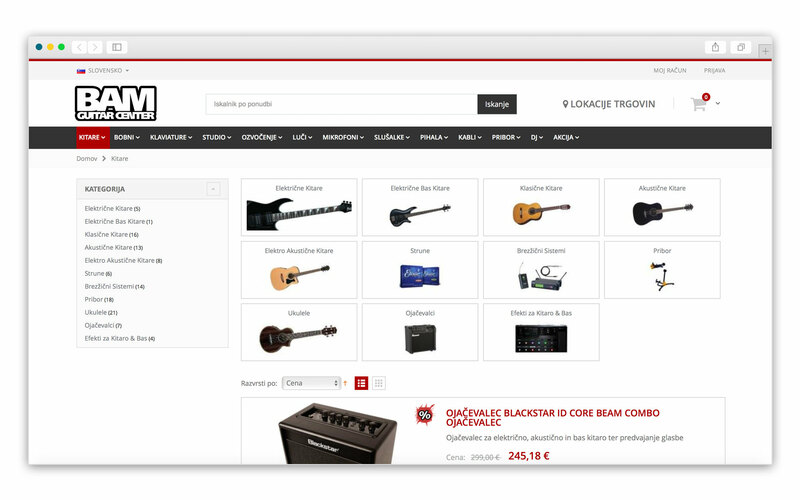 The online store offers virtually everything a client needs either the client is in a hobby or professional music scene. 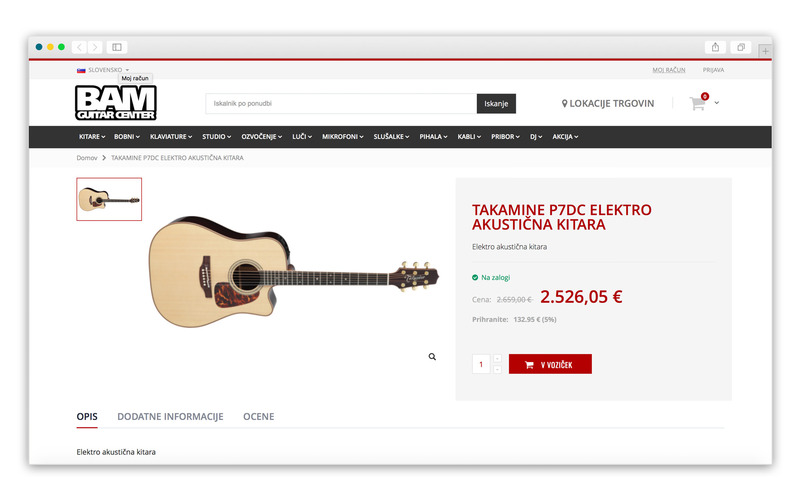 In the store, we included different advertising sliders, banners and create a nice menu with products organized, so that customer can easily know which products are in stock and which are on sale. 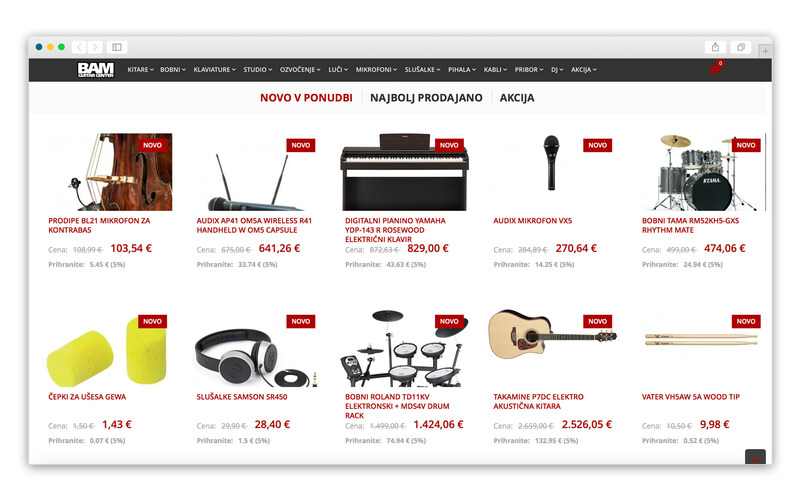 The store also offers customer support, an overview of current stock items and their availability, easy access to the shopping cart and much more. 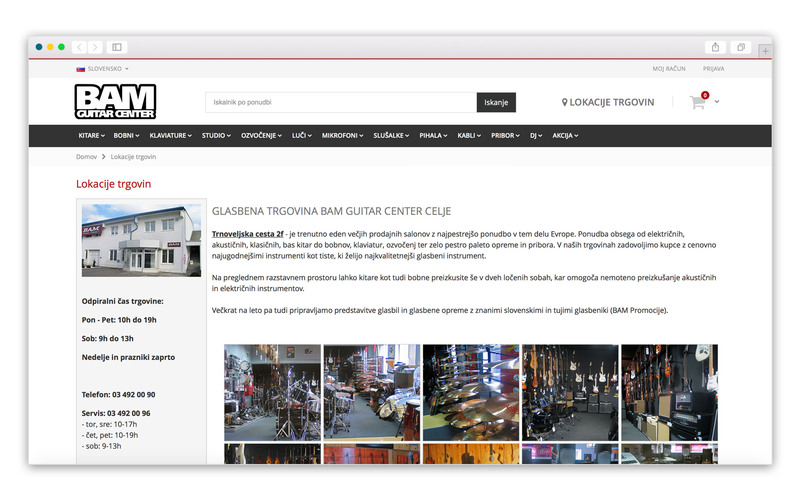 Because customers before buying an item like to read articles, tests, reviews and have other opinions, we have also included this in a shop in blog form. 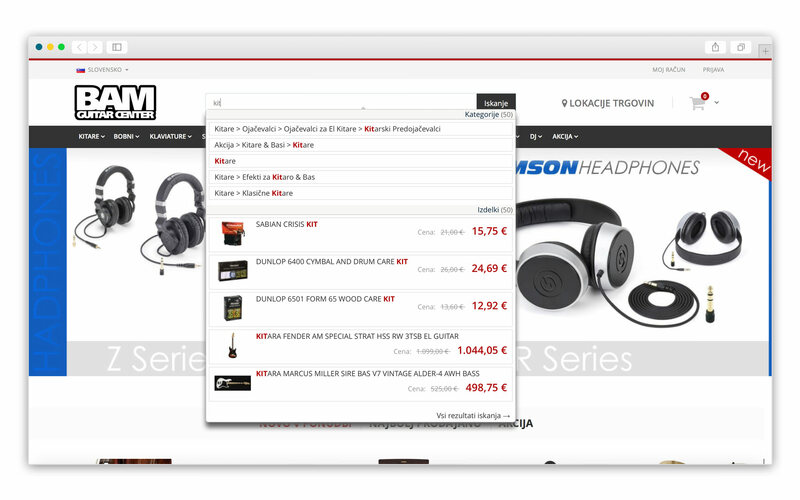 For even simpler purchasing we have also added different payment options in the shop and add integration with PayPal.